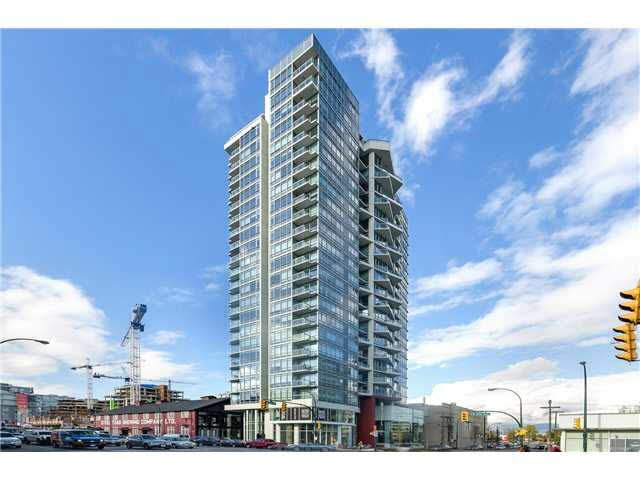 One Bedroom plus Den in OPSAL, the newest and tallest building in the Olympic Village area! This panoramic view suite is bright airy with its 8'6 ceilings and expansive windows with balcony facing to northwest city, Science World and False Creek! Good layout, no wasted space, modern appliances and composite stone counter tops! Building has a large gym, spa facility and lounge! Comes with one parking stall! 2-5-10 New Home warranty! GST paid! Just steps to the Seawall and False Creek and Sky Train Station!